SlotoHit Casino | A big time online casino and a big hit for you! Slotohit casino, the name itself says it all. This is an online casino den, which boasts of over 1500 games available to the player. Making its debut in 2017, the casino provides players with a great variety of varying types of games. 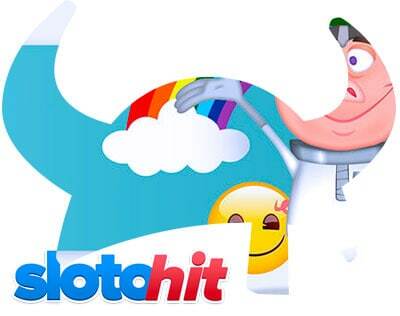 Slotohit is owned by HighWeb Ventures N.V., which is famous for operating and running multiple online casinos. It is legally regulated and holds a valid license issued by the island country of Curacao. The home page of this casino is very easy to understand and gives you instant information regarding general queries. It is easy to navigate and anyone can work their way through Slotohit. The page layout is kept simple without giving unnecessary importance to the colours, design and images. Whatever you want to refer, can be accessed by a single click of the mouse. It gives you the impression that it is launched only for the service of its players and nothing beyond that. It provides you with a much-needed break after the day’s monotonous and tiring work and uplifts your mood with their modern and classical mix of games. As discussed earlier, the sole aim of Slotohit is serving the players in the best possible way. Thus, the owners did not take pains to make the website look attractive. The idea is to provide a top class games platform and accordingly a smooth gaming experience. Everything would fall into place when the customer is satisfied with the gameplay. So apart from the variety of games, easy deposit/withdrawals and security of the site, no other thing has been given a priority. So, Slotohit has got a very simple design and layout, average graphics and images, etc. Novices, new to gambling players would find it extremely easy to register them and start playing. That is the simplicity of the site. Free Bonuses to new players: All the newly registered players can now avail of a certain amount of money (like 5 Euros or 3 Euros) on some particular video slots. You just need to provide the coupon code mentioned, at the time of registration. Complimentary Bonuses: At Slotohit, even if you lose, you have the upper hand. You will be getting a certain percentage of your losses back in your account, that too on daily basis. Plus, you do not need to place a bet or indulge in wagering to claim this money. You can claim it without any strings attached and try putting that amount in playing something else. Welcome Bonus: Immediately after registration, when you start to play, the first 3 deposits that you make are appreciated with an entire value of up to 500 Euros (on some days). Not only these, you can play some specific games like Twin Spin Deluxe and win really cool stuff. If this is not enough, you can have a go at the free spins at Slotohit. If you are given some bonus codes, use them to unlock a number of free spins. Slotohit bonuses are no doubt very attractive. However, before you draw any interpretations to the rules of bonus claims, do peruse the terms and conditions. You can hold any one bonus at any given time. If you are claiming a bonus, see to it that there is no active bonus in your account. Any deposit bonus or promotional bonus can be availed of only one time, whether it is from the website page, a mail generated one or any other website. Free bonuses too are one time bonuses, to be claimed as per the account. Slotohit continues to provide exciting cashback deals. Simply, remember these rules and make your time spent at Slotohit fun and enjoyable. What do you think Slotohit offers, in terms of games, to its players? Obviously, it is slots. Navigating through the games library is a child’s play. The games are offered by the best in the industry, NetEnt, Amaya, Microgaming, Playson, GamesOS, etc. among many others. With around 1500 games on the platter, you will run out of time to play your favourite ones. They have neatly categorized all their games sections as slot games, table games, poker, jackpot games, etc. You can also view the most frequently played games as well as the latest games, so your confusion is taken care of, only a bit though. The famous ones are Guns N Roses, Aloha! Cluster Pays, Starburst, Gonzo’s Quest, Odysseus, etc. Other good ones to try out are Diablo 13, Neon Reels, Cloud Tales, Go Bananas, etc. You will find any game according to your mood and time. If you are missing your daily dose of table games, do not worry. Slotohit will satisfy your cravings. It has 50+ table games, some of which are everybody’s hot favourites Baccarat, Roulette, Hi Lo, Black jack and Punto Banco. There are a number of variants available for each of the table game to suit your palate, like the French, American or European Roulette, Multi hand or French Black jack, etc. There is good news for poker fans. You can choose from Jacks or Better, TXS Holdem, Deuces Wild, Joker Poker, Stud Poker, Aces and Eights, etc. There is an option of single or multi-hand variation. Their range of arcade games cannot go unnoticed. They have Video Keno, Video Bingo and Craps for the casual players. You can hit the much-awaited jackpot with games like Super Multi-time Progressive or Arabian Nights. In case you are missing the thrill of playing in a land-based casino, live dealers at Slotohit will solve your problem. Real-time games are displayed from casino studios and you can see your own game live on the screen. You can have a chat with the dealers, just like you would at a traditional casino. One thing is guaranteed for, and that is Slotohit casino games can never make you sit idle. They provide you with all the elements of a fun-filled evening. The founders at Slotohit understand the concerns of their players regarding banking, deposits and withdrawals. They want to make the time you spend at the casino memorable and not plagued with payment issues. One of the options at Slotohit’s payment methods is it accepts bitcoin payments, which works to everybody’s advantage. The payment methods used by the casino are convenient and accepted worldwide. Withdrawals are made simple with Slotohit. You need to request for a withdrawal, your account would be verified, processing will be done and you will receive your money. The team at Slotohit customer support is available for your assistance throughout the week. They operate from 5:00 AM to 9:00 PM. If you have some questions during the no working hours, you can always mail to them. The players who are registered with the site have an exclusive platform for raising their concerns. When a registered member logs in, he/she can click on the ‘Ask Question’ tab on ‘Messages’ link. A fresh ticket will be created and you can put across your query in this section and click on ‘Submit’. The team will get back to you at the earliest. Slotohit casino makes use of the latest, advanced technology, SSL encryption to keep the sensitive information of the customers safe and secure. Although the casino has failed to gather maximum marks in the layout and customer service department, a wide of range of games it offers is more than anyone can ask for. The fact that it is certified by iTech Labs, to ensure fair games.